We compared custom screen printed transfers “Plastisol”, Our custom 2 step self weeding transfers, Jet Pro Soft Stretch & Jet Opaque. If you are interested in our custom heat press transfers visit our website. We now offer custom heat transfers using the infamous OKI 920 WT starting at $13.50 per 11×17 sheet with no minimum required. We require a minimum of 5 sheets. We also offer gang printing without the need to pay extra for each color like typical Plastisol screen printers would require. Our transfer are printed using The OKI 920 WT, which is specifically created just for t shirt printing industry! it provides rich HD inks that won’t crack or fade until your white or dark t shirt garment has faded completely. We use a special 2 step process that is completed before it’s delivery to your address or place of business. We apply the white emotion to your self weeding laser custom transfer for you. So all you have to do is heat press our custom transfer screens to your light or dark shirt without having a specific garment paper. We use a special transfer film that we’ve created to suit your needs. Our product is similar to the Neenah image clip laser dark & white + forever laser dark no cut & light weedless paper. The generic brands use in the video that are compared to avery brand is from eBay. PLEASE AVOID LOW QUALITY PAPERS!! Our product is similar to forever laser light weedless transfer paper no cut paper and works great for white and dark t shirts. HOWEVER OUR Paper works for all color T-Shirts unlike any product on the market today. You know longer have to find yourself struggling to make custom transfers!! WE SHIP TO YOUR DOORSTEP QUICKLY! You know longer have to wonder where to buy! Connect with My T Shirt Kings Now! 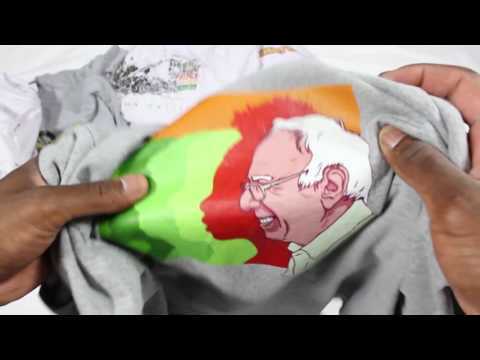 Custom T-Shirts Tampa | Screen Printing Tampa FL NOW! This entry was posted in Shirts on October 6, 2017 by admin.